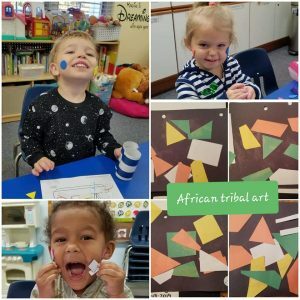 Around the world in 30 days with our 2 1/2 year olds! 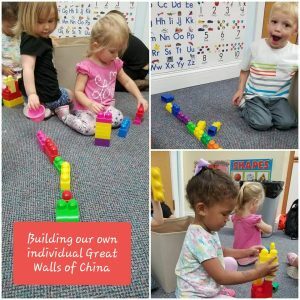 Our 2 year old class spent one day each week during the month of October “visiting” other countries. 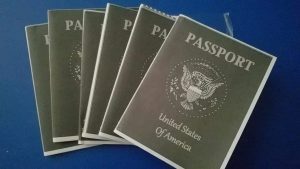 We kept passports and recorded on paper and in our minds all the wonderful customs that exist outside of our town. 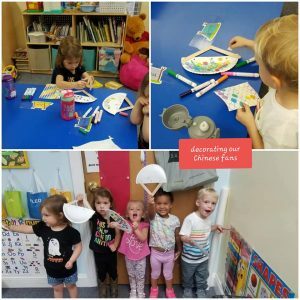 We started with China, decorated our homemade Chinese fans, built our own great wall of China, make golden fish kites, and new years dragons. Next stop was Norway (home of Elsa & Anna)! 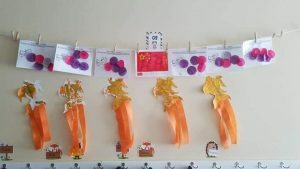 The kids got to try traditional viking bread, liberally coated in honey and we shared around the building. 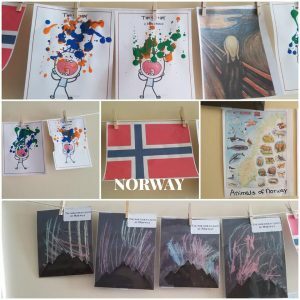 Then we colored our own vision of the northern lights and made some interpretive art from Edvard Munch’s “The Scream”. 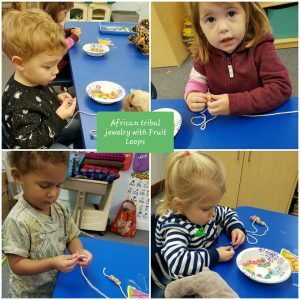 Last stop was our favorite, Africa! 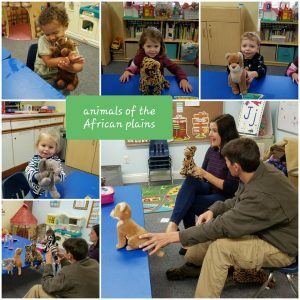 A set of our class parents were kind enough to come entertain the class with stories of their life in South Africa. 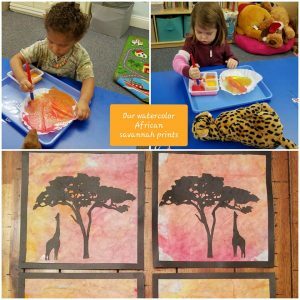 They brought examples of many of the animals you can find on the African savanna and dressed up in traditional tribal blankets. 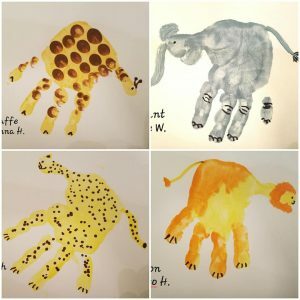 Then the kids got to try their hand at their own tribal art, made tribal jewelry with fruit loops, painted a beautiful African savanna sunset and they each picked an animal for some unique handprint art. 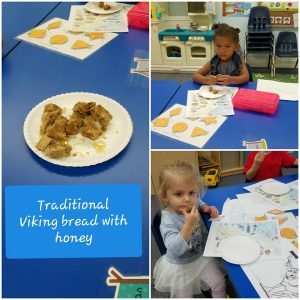 Maybe we’ll have to visit some more places for Christmas time to see the Christmas traditions of other nations…..
Viking bread with honey = yum!